Aishwarya Rai at French Open Men’s Final. Aishwarya Rai mark her presence at Roland Garros French Open Men’s Final. Aishwarya Rai promotes Longines yet again. She is the brand ambassador of Longines Watches since many year. 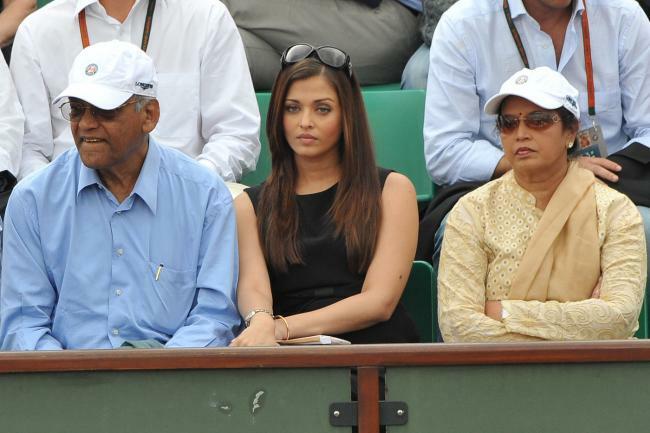 Aishwarya Rai was accompanied by her parents Krishna Rai and Vrinda Rai during her visit at French Open. 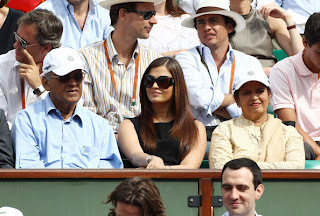 Checkout Aishwarya Rai French Open Pictures.